Mochii™ comes out of the box fully-featured and ready for your explorations. With its unique wireless tablet interface, your investigations are untethered from your Mochii™ scanning electron microscope. Bring your tablet to a meeting across the building or even across the country and explore your samples at the nanoscale, back at home. Or bring your Mochii™ with you. Smaller and lighter than both advanced light and electron microscopes, the Mochii™ can travel. 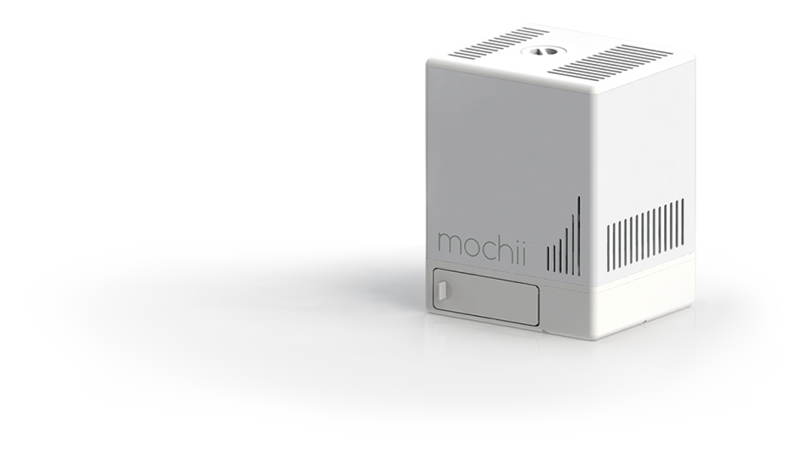 As the smallest production electron microscope in the world, Mochii™ can fit in a suitcase and easily in the overhead bin of an airplane. Bring your Mochii™ to your samples in the field - image wherever your investigations may take you. SPECIFICATIONS SUBJECT TO CHANGE. Mochii's unique technology is patented and patent-pending. Add additional power to your mochii unit. Upgrade and enhance your imaging.